Eight hours after I covered the Three Mile Island vigil, I found myself in a black box theatre and surrounded by a bunch of clowns. © 2011 by The York Dispatch. 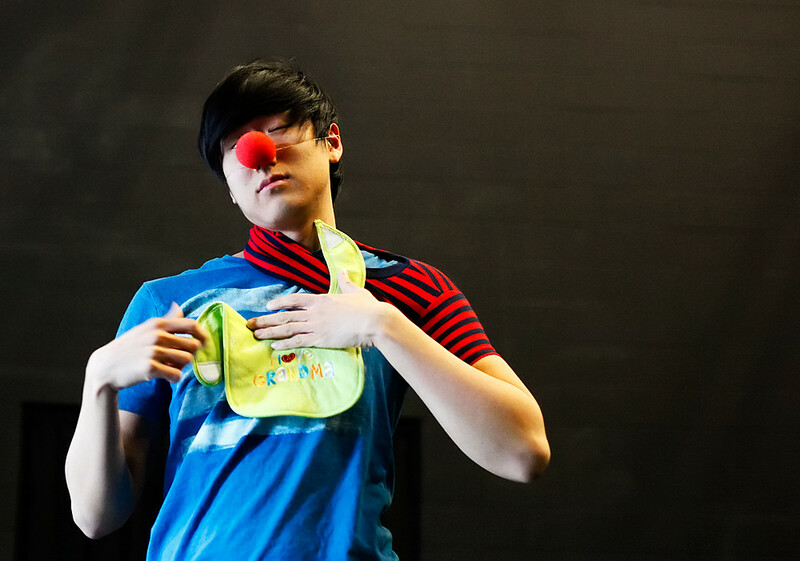 York College student Joe Sheely performs as a clown as he wraps a bib around his neck in professor Rachel Snyder's Commedia Clown class on Monday, March 28, 2011. Snyder had her students bring baby clothes to class so they could try to put them on while performing as clowns. 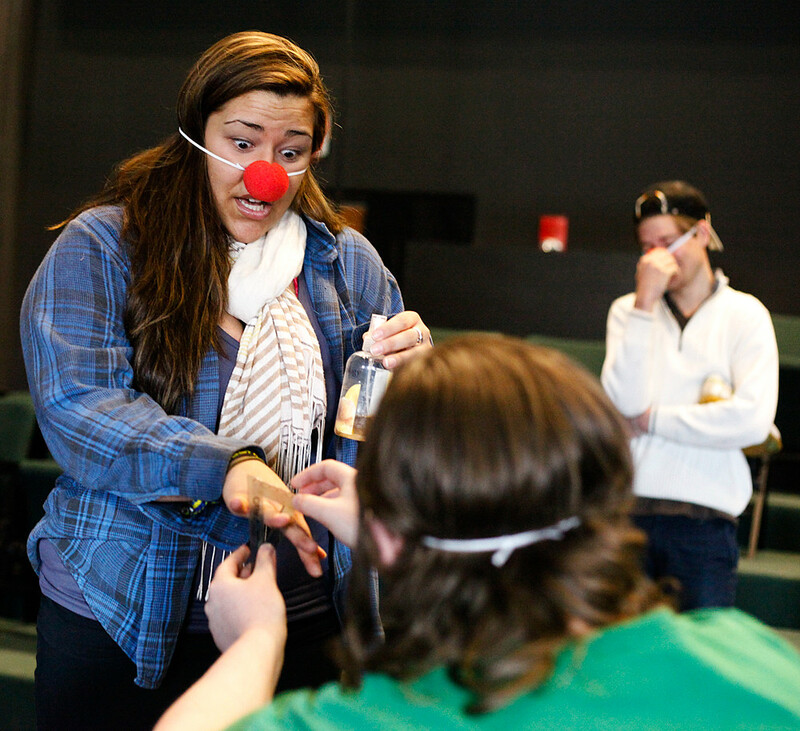 Welcome to Commedia Clown — a class at York College wherein students learn to clown it up. And, believe it or not, it’s harder to play the clown than it might seem. For more antics and commentary, check out the video I shot and edited. © 2011 by The York Dispatch. York College student Adi DiFabia looks astonished as classmate Vince Scalco proposes to her with a triangular protractor during a warm-up exercise in professor Rachel Snyder's Commedia Clown class on Monday, March 28, 2011, in the Perko Playpen Theatre on campus. During this warm-up exercise, students were asked to retrieve an item from their backpacks or purses and incorporate it into an act not normally associated with it.